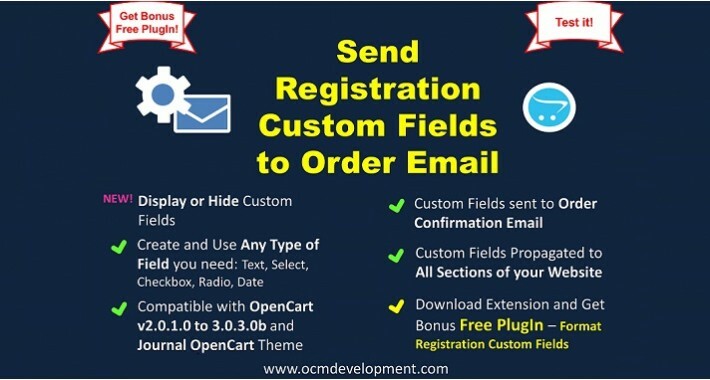 Create unlimited number of Custom Registration Fields (Address & Personal Info) which will be propagated in all sections of your OpenCart website, Order Information and Order Confirmation Emails. 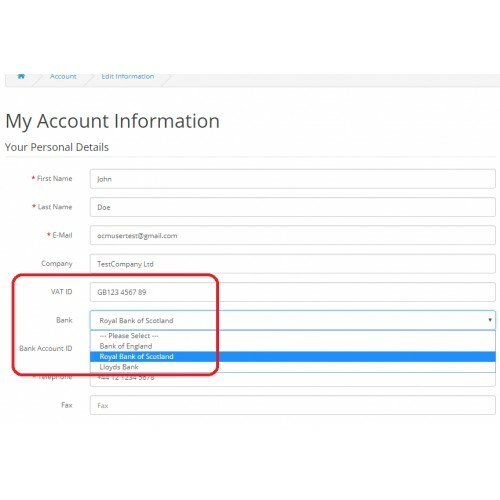 You can set any kind of NEW Field like: VAT ID, BANK ID, SSN, TAX ID, Driving License ID, of any Type: Text, Select, Radio, Checkbox, Date etc. 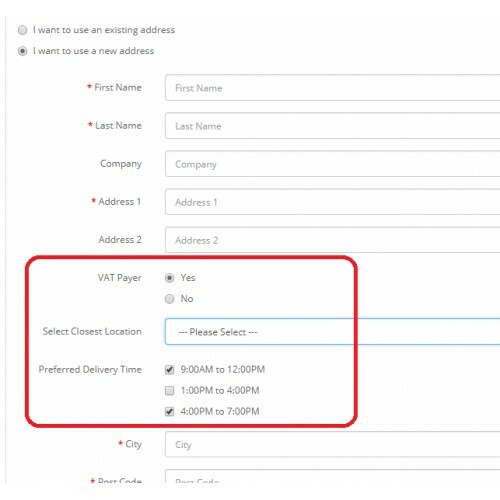 -	blank fields will not be displayed (e.g. 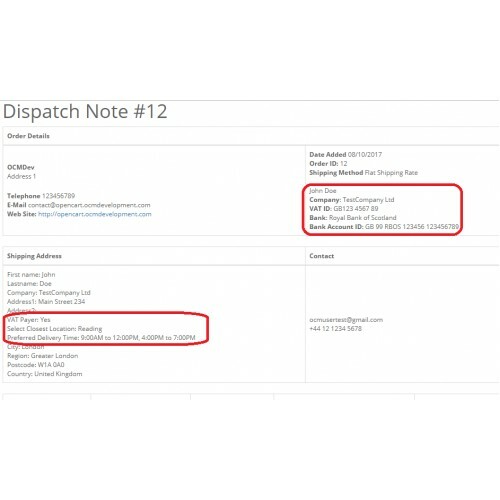 Address2 field in the view below). 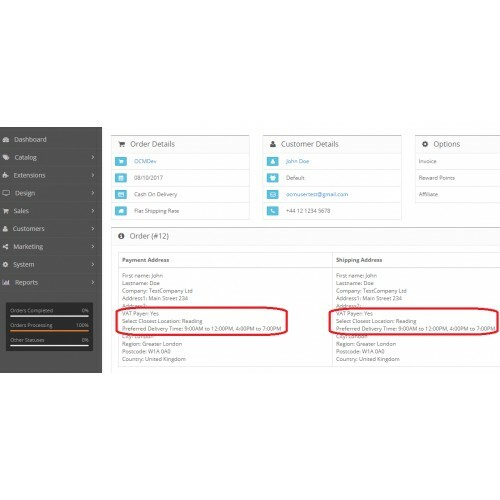 - Full flexibility: use any Type of field you need: Text, Select, Checkbox, Radio, Date etc. 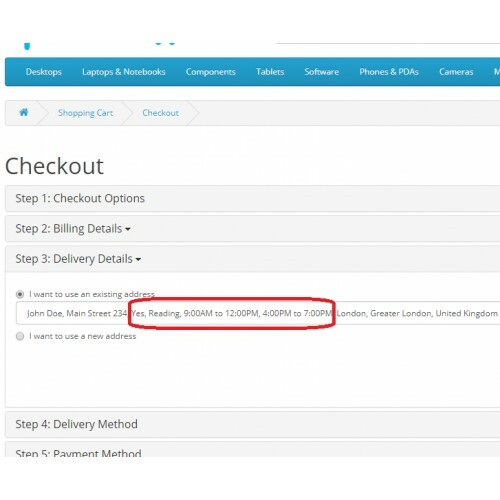 - Compatible with Journal Opencart theme and PavoThemes for OpenCart. 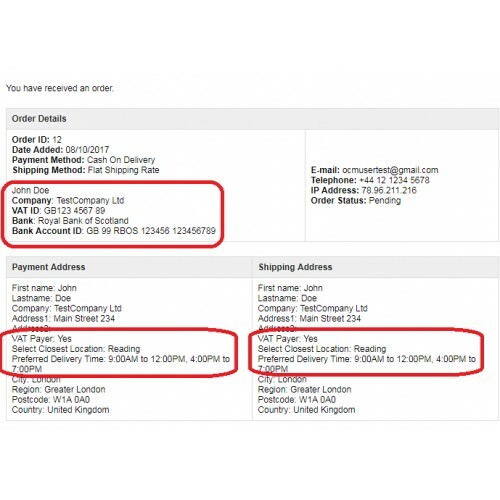 ­ - Confirmation Email to Store Owner ((Account, Payment&Shipping Address). 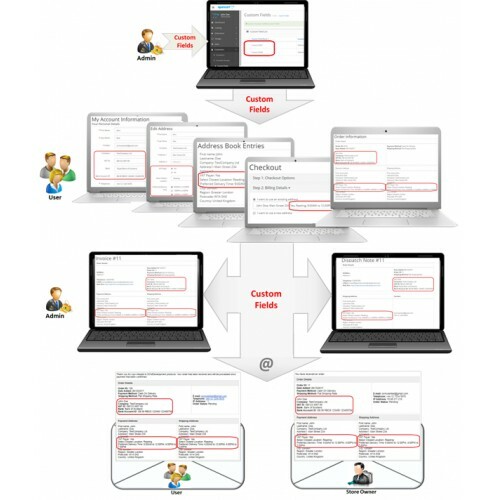 ­ - Customers – Edit Customers (General, Address). 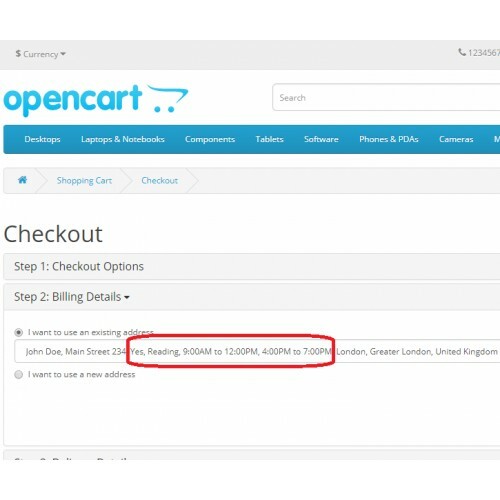 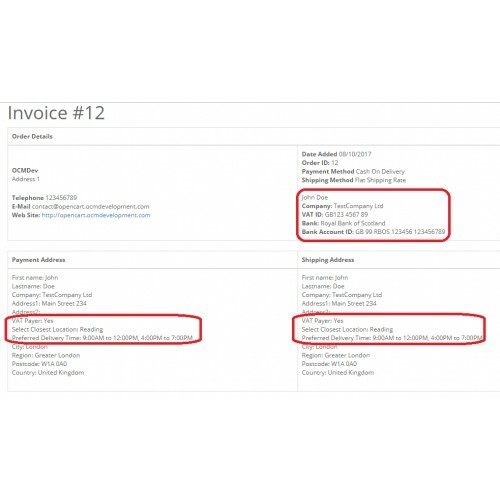 I am a long time user of Opencart but with the 3.0.2.0 version I couldn't find a plugin that could send also the customer e-mail to the store admin. 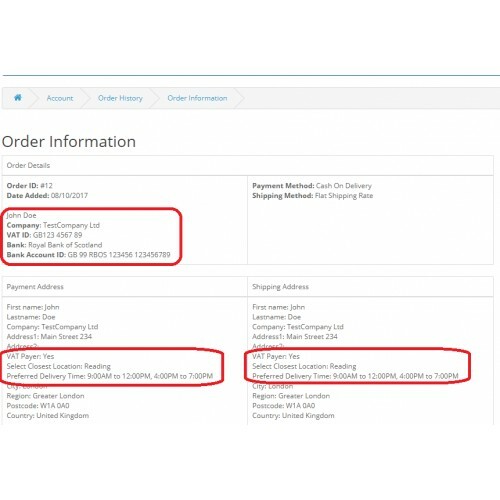 Which is to my opinion a complete miss from Opencart. 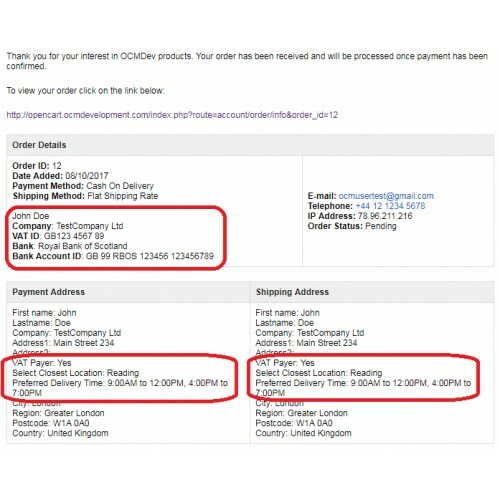 Mihai from OCMDev helped me out in no time by rewriting a piece of code they have what can fix this problem. 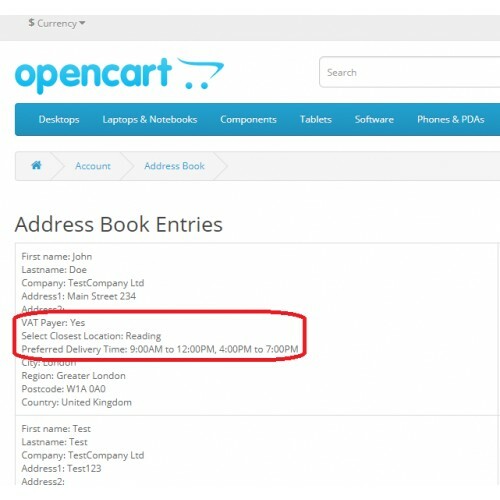 This is a must have extension for Opencart!